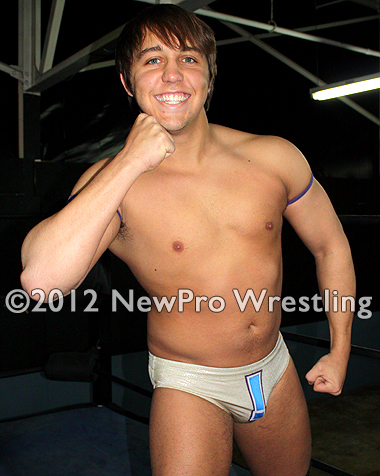 Babyface "Teen Excitement" Drew Haskins takes on beefy rough heel Zach Daniels. This classic bout starts off with Zach Daniels getting the better of a brief wrestling exchange before a powerful forearm smash to Drew's back stuns the fan favorite. The heel showboats for a bit before the action gets back underway. A giant Russian leg-sweep caps off a series of back & forth headlocks. Drew senses his chance and goes to work punishing Zach's leg but Zach's too powerful. 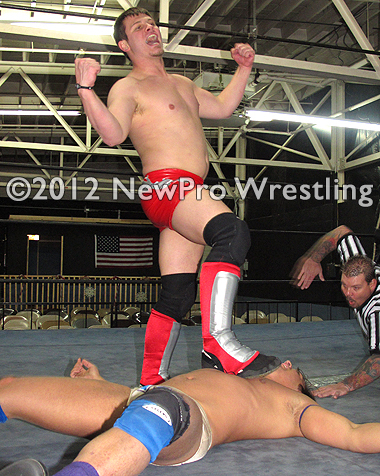 Camel clutches, rope punishment & bodyslams weaken Drew for a first submission victory for Zach. 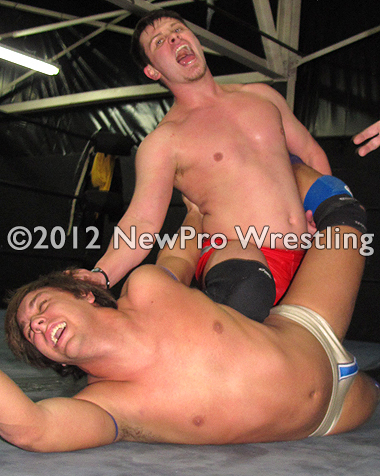 Up one fall to nothing, Zach continues his punishment on babyface Drew. A brief offensive flurry including a couple hip tosses is cut short by a missed dropkick. Noggin'-knocking DDT, & cranium-crushing punches weaken Teen Excitement for a brutal finishing move. Drew shows great heart but Zach is too brutal for the babyface to withstand in this old school heel/baby showcase.